the 157th Saint Jacques St. is a well-known address in Paris. Indeed, at this very specific location was one of the old Parisians trading café known as “bougnat”. Warming up homes with wood and coal and bodies with wines and beers, this place was loved by many ! 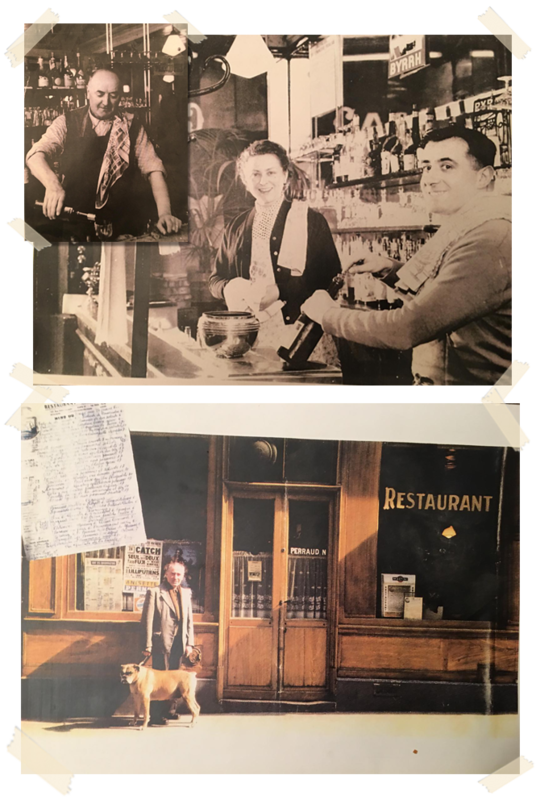 In the 1940s’, Mr. and Mrs. Perraudin turned it into a restaurant, gave their name to it and built its solid reputation of serving delicious food and good wines. Le Perraudin is owned by France (previously at the Bistrot chez France). She perpetuates the tradition of a savory homemade traditional French cuisine in a warm, authentic and friendly atmosphere. France and her staff work only with fresh products carefully chosen with the right suppliers. Last but not least, at Le Perraudin we are very attentive to offer you a great dining experience at fair prices. 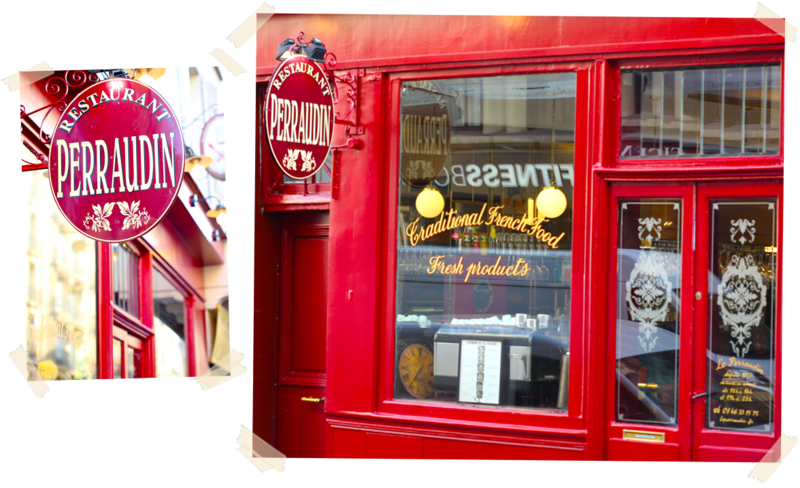 So, give us a call or simply stop by to enjoy the simple, generous and tasty cuisine of Le Perraudin !